Hand fabricated earrings in brass. Kinetic, geometric and lightweight. 2.5" tall Kristine Bolhuis received her MFA in Metalsmithing from Cranbrook Academy of Art. She also holds a BFA in Metals from Massachusetts College of Art and a BA in History of Art from the University of Michigan. 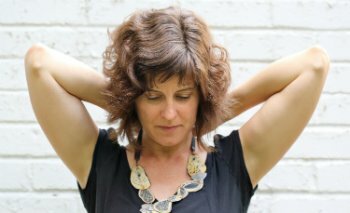 Kristine is an independent jewelry maker working out of her studio in Ann Arbor, Michigan. Her recent work has focused on lightweight metal constructions that move, flex, and collapse. The work is created at the bench where it is conceived of and constructed from start to finish. It is an exciting process of exploration and discovery. The jewelry has an inherent mobility and mutability, which encourages the wearer to manipulate its parts. 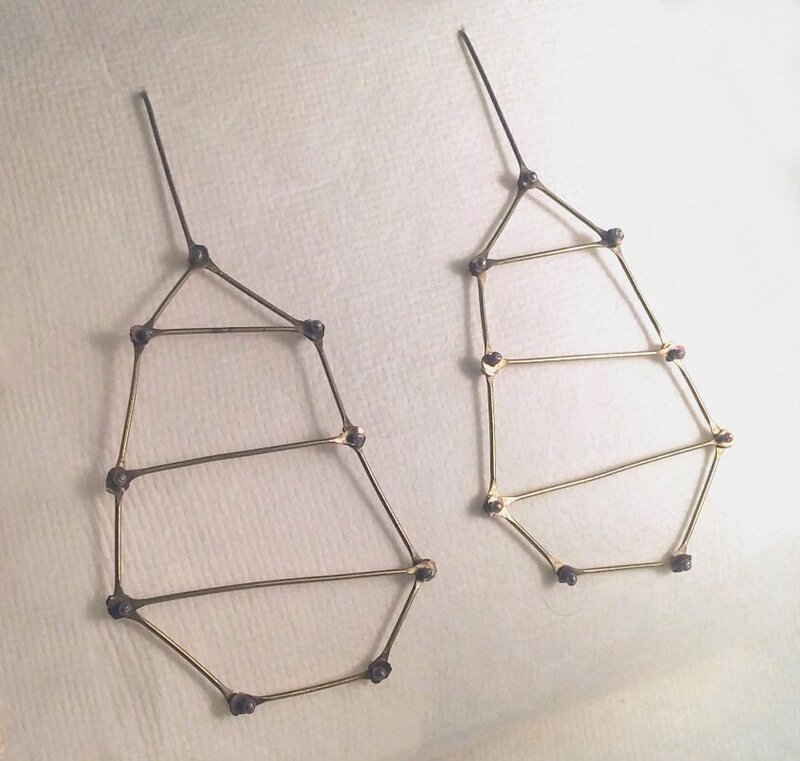 By exploring through handling, the jewelry reveals its essential structures and geometric patterns to the wearer.